Abot First Loop: This captures the young caddies first loop. He has the good sense to stand quietly ready to learn. 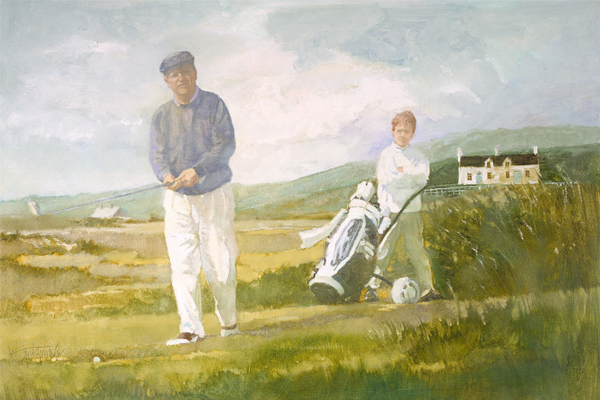 The golfer is sure to coach him on the niceities of game and the responsiiblites of the caddie.